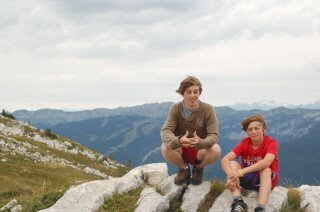 Jeffrey and cousin Brian on a hike in the Chartreuse mountains, one of the three mountain ranges that surround Grenoble. I'll take a picture of the range from below to get a better perspective of the range. As you can tell it gets very windy around here.